Description Tower Theater showing advertising display in front, 9th South and 9th East, April 29th, 1933. Opened ca 1926. 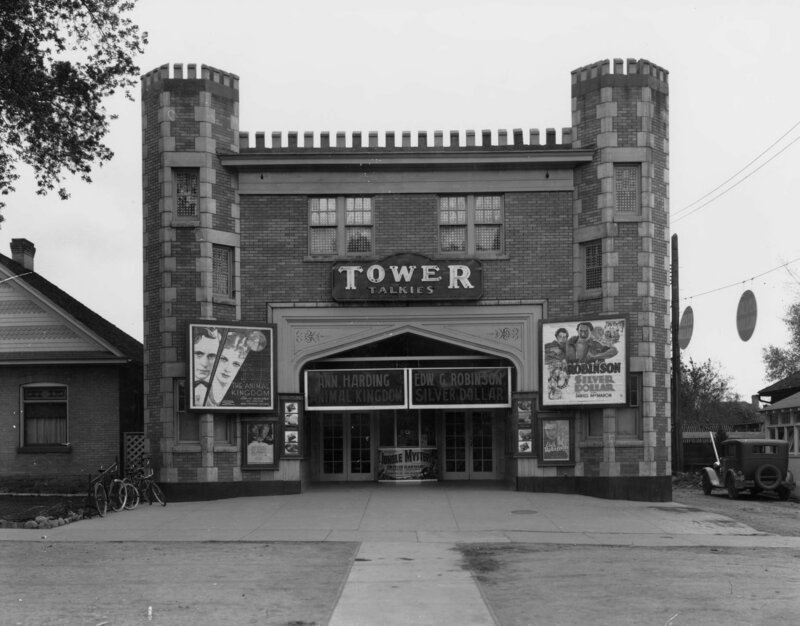 Building refaced in 1950 - Tower House Restaurant built adjacent to the east.